АЯ Волонтер: Родные медведи в Хорватии! Медведи- символ России, но только ли у нас они обитают? Участвуйте в проекте в Хорватии и повстречаете этого национального зверя в теплых уголках мира. Необходимые условия: желательна физическая выносливость и готовность работать руками. Сроки проекта: 3-6 месяцев, срок подачи резюме- до 01.05.2012. Application deadline: Application form with CV should be sent before 1st of May. Feedback will be sent within 2 weeks. Additional information may be asked. Description: Velebit Association Kuterevo was founded in 1995 and since then it works for preservation of natural and cultural heritage. 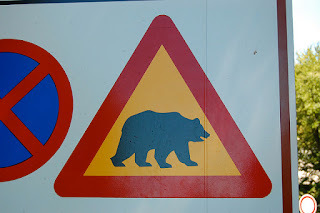 In 2002 the Bear Refuge was founded and today the village hosts more than 20 000 visitors and 200 volunteers. Besides the Bear Refuge, the Volunteers Station was founded as a place for cultural exchange and sustainable living education. We believe that without a broad understanding of human coexistence with wilderness, we won't be able to preserve bears. Thus the refuge creates space for education, exchange, learning and experiencing sustainable living. Work: the work includes building new enclosures for the bears and new facilities for volunteers and visitors, also the maintenance of the old ones. Depending on the season the volunteers will also be involved in gardening, building, constructing, coordinating work of groups, helping in organization of events, collecting food for bears, making souvenirs, etc. Requirements: Readiness for physically demanding work and a lot of social activity, driving license is an advantage. Accommodation: together with other volunteers in a house in a village. Outdoor bathroom with solar heating system, common kitchen, composting toilets. Food: Food is provided and prepared together with other volunteers. Mostly vegetarian, based on groceries from the local community, but still in accordance with every person’s needs. Pocket money: 50 EUR per month. Insurance: Volunteers should get insurance for themselves. Visa: For LTV longer than 3 months the volunteer has to apply for residence permit, necessary documents will be provided. Others: The organization is open for different arrangements according to volunteer’s needs and financial situations (i.e. it would be possible to cover part of the travel costs and similar).